The past month’s debates in the Commons over the EU Bill have once again revived the thorny issue of the Lisbon Treaty and its abandoned twin the EU Constitution. Many members of Parliament still talk bitterly of the referendum that never came. Let's re-cap: the previous Labour government denied the British people a say on the Lisbon Treaty despite promising one in its election manifesto, it's sole argument being that the Treaty differed from the EU Constitution (despite almost all other EU leaders arguing that it was the same and the similarities becoming patently obvious when reading both side by side). Referendums in different countries operate in different ways. I think that I have heard the Minister say on a couple of occasions both here and elsewhere that there was never a referendum that supported the Lisbon treaty. That is completely untrue, as the Spaniards were the first to hold a referendum and it had an 83% or 84% yes vote, so he is wrong about that. 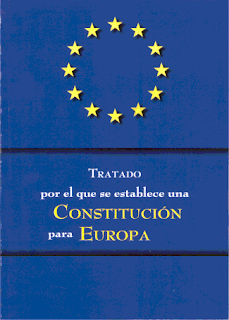 As we know, in Spain there was only a referendum on the EU Constitution in 2005, and never on the Lisbon Treaty. Bryant is in effect admitting that the two are the same thing - a bit of a political faux pas for someone who was Europe Minister in the very same government that denied the electorate a referendum (though, to be fair to Bryant, he joined the government when the action on Lisbon was largely over - Labour saw through a record 12 Europe Ministers in 13 years). 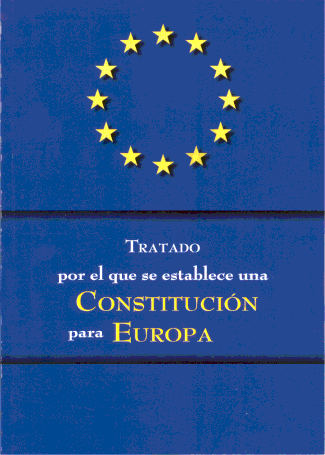 It is pretty obvious to anybody who has given the matter any detailed study that there is a fundamental difference between a proposed constitution on the European Union and the treaty of Lisbon. Please Mr. David and colleagues, give up on this one. You broke a manifesto promise, deal with it. Except for fishing, farming, and the euro, Norway is practically speaking already part of the EU’s inner market. The only thing it lacks is the right of co-determination. - Norwegian Conservative MP Nikolai Astrup takes issue with polling-results showing that a record 65.9% of his fellow countrymen are giving thumbs down to Norway joining the EU (only 22.5% in favour). In regards to Egypt, institutional Europe was lacking a clear line until [French President] Nicolas Sarkozy, [German Chancellor] Angela Merkel and David Cameron decided to put pressure on [Egyptian leader] Hosni Mubarak to implement the ‘political, economic and social reforms’ he had pledged. Until then, Catherine Ashton, the voice of [the EU’s] diplomacy, and Herman Van Rompuy, President of the [European] Council, had been grinding topical phrases about the rejection of violence and the necessity of dialogue. - An article in today's Le Figaro criticises the EU’s response to the recent crises in the Arab world and summarises the problems inherent in the EU's confused foreign policy set-up, i.e. institutions without real policies. Europhiles have a peculiar habit of crediting "Europe" - though it's never entirely clear what the concept refers to - for achievements ranging from more cosmopolitan restaurants in Britain to "so much to choose from in the supermarket" to world peace (well, we're not quite there yet). 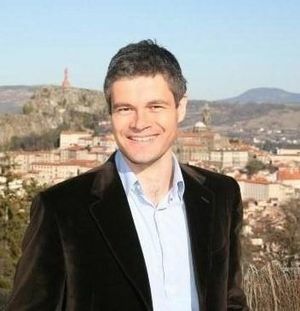 However, France's new Europe Minister Laurent Wauquiez seems to have taken this to a new level. Europe has protected cognac. For example, on the Chinese market, Europe has allowed us to force the Chinese to recognise cognac and protect it [...] If Europe hadn't been there, there's no doubt that we would no longer have cognac. That's right, no EU, no cognac. 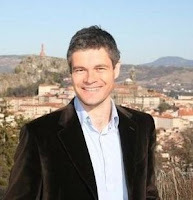 We understand what Laurent le charmant is getting at, trademark protection and all that. But perhaps he's taking it just a little bit too far...? When I was the United States ambassador to the European Union (then the European Communities) in the late ’80s, as preparation for the advent of the euro was taking place, the crosscurrents were strong and visible. It couldn’t possibly succeed, as predicted by many, without a finance ministry for all of Europe, not possible then or foreseeable now. A real look at European debt, which is far greater than the narrowly reported official deficits, bodes badly. 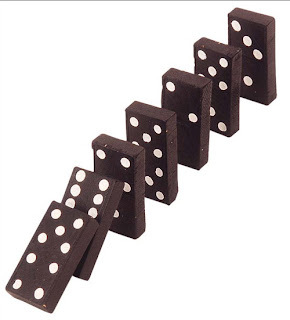 Bailouts are being affected by the imposition of rising and unsustainable interest rates. Just look at recent bond yields in Portugal, Ireland and Greece. And what will happen when more onerous austerity programs are initiated to meet new budgetary targets? Will the E.U. survive? Of course it will. It has succeeded in quelling thousands of years of internal warfare. But the euro and current E.U. structure — well, that’s another matter. Last night MPs debated amendments to the EU Bill to strengthen Parliament's power over the Government on decisions about which EU crime, justice and immigration laws the UK signs up to. These were not abstract or merely technical points. This was about transferring power from the executive to the legislature (and therefore a step closer to MPs' constituents) over lawmaking that can have a material impact on people's lives. Once again, we would point you to the European Arrest Warrant or the EU laws requiring the UK to recognise trials in absentia or decisions on asylum - these are no trivial matters. We could also point to the 90 or more EU laws that the UK Government could either decide to opt out of altogether in 2014, or remain signed up to (giving EU judges new powers.) The fate of 90 (or even 100 depending on how you count) laws will be decided in one go, in a one-off decision. You'd think MPs should take a bit of interest in such a choice. But the vast majority of MPs apparently didn't want to know. The sea of empty green benches was evidence of that. Consequently the amendments were not pushed to a vote and the Government will be able to continue opting in to new EU justice and immigration laws, unhindered by any real Parliamentary control. The Government has pledged to consult with Parliament about giving MPs and Lords more power to scrutinise and potentially vote on “significant” new EU justice and immigration laws. But MPs need to be much more assertive in demanding greater power over EU affairs if it is to become anything more substantive than a pledge to merely consult. An amendment to put the crucial 2014 choice was defeated 313 votes to 26 under a three-line whip. The Government has committed to put this choice to both houses, which is welcome, but we had hoped for a bit more excitement yesterday on this issue. In a strange kind of way, MPs should learn from Members of the European Parliament here. Those who occupy seats in Brussels and Strasbourg are open about their thirst for greater powers and do all they can to grasp them (usually leading to unwanted and out-of-touch decisions unfortunately - but that's a different discussion). On EU matters, the contrast to Westminster is stark. And ironically, there's a clear, inverse relationship between the clout of MEPs and the clout of MPs in the areas that were discussed yesterday: every new EU immigration, crime or policing law that our Westminster representatives allow the Government to opt in to will see MPs losing a chunk of power, with MEPs correspondingly gaining the same level of power (as EU JHA laws are decided jointly by ministers and the European Parliament). Usually it's a noble thing to say no to power, but we fear this is a matter of our elected representatives being happily unaware, not realising that they're outsourcing some of their key responsibilities to bodies that usually (though not always) aren't equipped to balance democracy, law and justice in a union of 27 different legal systems. If MPs are not willing to put down a marker and fight for some of their own, how can they possibly complain about the 'diminished role of Parliament' or wonder why people out there in the real world continue to ask what their representatives in Westminster are actually paid for. Come on MPs - you can do much better than this. One proposal that keeps popping up in the debate on how to restructure the struggling Euro zone economies, is the idea that they be allowed to buy back their own bonds using money lent from the EU. Reuters notes that the successful bond issue by the euro zone's financial stability fund means that there is a rich vein of cheap financing for the likes of Greece and Ireland to buy back their 10-year debts at a discount, without having to impose haircuts or trigger a 'credit event' or default. In an earlier blog post, we already wrote about the moral hazard aspects of this idea. To recap, these sort of "bond swaps" would involve the struggling economies using funds from the EFSF to buy up old, high-priced debt on the open market where it is available at between 70-80 cents on the euro. This is due to the fact that investors are so reluctant to hold onto long term debt from these economies due to the high risk of default. The idea is that this removes the existing debt, both in principle and interest payments, and replaces it with the cheaper more flexible loans from the EFSF. However Die Zeit economics editor Mark Schieritz notes that this "sounds too good to be true". He poignantly explains that such an action "would increase demand for the bonds, so that the price will rise". Clearly as a consequence of buying back the bonds the price will be increased, most likely to the point where any gains from such an intervention would be minimal! It seems to be a self defeating policy. The FT also notes that since much of the debt in these countries, Greece in particular, is owned by the ECB and European banks it would simply be spreading the losses around Europe. Yet again this policy essentially comes down to redistributing debt around Europe. Someone always has to pay and moving debt around or replacing old debt with new loans doesn't solve the issue. Conclusion: no quick fix for Europe's debt problems. Note: For a formal description of this process see the FT Alphaville blog. Germans' trust in the EU has taken a giddy nosedive of late. Trust in the EU has fallen to an all time low: 67% of respondents had "little” or “no trust" in the EU - up from 51% in March 2010. That's 12 points in less than a year... did anyone say bail-out? Only 25% have a “high” or “very high" degree of trust in the EU - down from 37% in March 2010. Only 12% favour faster integration - this has dramatically decreased since 1982, when a majority of West Germans were in favour of faster EU integration. 43% of respondents want slower integration. And the killer: 68% of respondents have “little” or “no trust” in the single currency – this is similar to poll levels taken on the eve of the euro’s birth, 16 years ago. Last but not least, only 4% know who Herman Van Rompuy is (shocker!). In this context it is important to keep in mind that all major policy decisions concerning European integration in the last 20 years were pushed through against the will of the German people: the introduction of the euro, the accession of new Central and Eastern Europe member states, and the opening of accession negotiations with Turkey – all these were rejected by the Germans with very strong majorities. Does anyone see a slight problem here? The Government on Friday published an annual report that reveals which, and how many, EU crime, justice and immigration laws the UK signed up to between December 2009 and December 2010. The report states (p4) that the Coalition Government has opted in to eight new EU justice and home affairs laws since coming to power in May 2010, including the hugely controversial European Investigation Order, a new "IT Agency" to oversee the EU's vast crime and immigration databases (with start-up costs of around €113m), and granting United States' authorities access to European citizens' banking data under the so-called SWIFT agreement. These are all transfers of power from the UK to the EU but Ministers were free to sign up to them without any democratic checks - Parliament had no say. The Coalition has said it wants to operate a case-by-case policy of deciding whether to opt in to new EU justice and home affairs laws. Well last week's report shows what that policy amounts to in practice. Of 13 decisions whether to 'opt in' or not, the Government opted in 8 times. That's an opt in percentage of 62%. The Government's record so far would suggest then that the UK will continue to play a major part in the EU's ever-expanding role in justice and home affairs. But under the current EU Bill, Parliament and voters have no say over the steady steam of laws that are transferring power over British justice and immigration policy to the EU level. This is why amending the EU Bill is so important. Allowing the status quo to continue simply widens the democratic deficit between the Government and the general public on these crucial issues. Crime, justice and immigration are important to people and voters do not expect their Government to have free reign to hand over powers to the EU in these areas. We hope that as many MPs as possible make their voices heard when these issues are debated tomorrow and that they impress on the Government the need for Parliament and voters to have more say over this crucial aspect of the UK's relationship with the EU. The Louise Weiss building in Strasbourg, France. We’re guessing that most people will not ever have heard of the last one. It’s in fact, the infamous seat of the European Parliament in Strasbourg – better known as the reason for the European Parliament’s utterly ridiculous ‘travelling circus’. The European Parliament's 216-mile monthly trek to Strasbourg beggars belief. But no matter how many citizens, MEPs or even EU officials complain, the out-of-touch people at the very top refuse to bow their heads to listen. 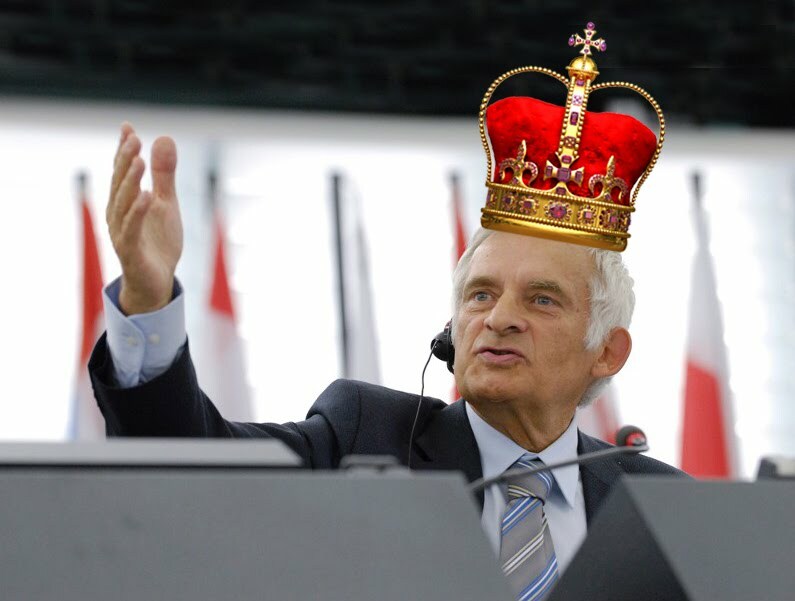 In an interview with Euractiv, European Parliament President Jerzy Buzek got the chance to explain why he defends the Strasbourg seat. What's next, horse drawn carriages for Buzek and his mates and a regal eurocrat wedding? 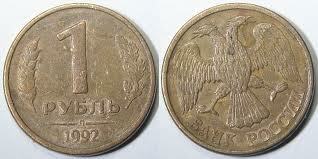 Is EMU a new Rouble zone? An interesting fact revealed by the Irish Independent has gone almost unnoticed. The Irish Independent learnt last night that the Central Bank of Ireland is financing €51bn of an emergency loan programme by printing its own money... ...A spokesman for the ECB said the Irish Central Bank is itself creating the money it is lending to banks, not borrowing cash from the ECB to fund the payments. The ECB spokesman said the Irish Central Bank can create its own funds if it deems it appropriate, as long as the ECB is notified. This is a form of hyperinflation if you will, at least in context that a Central Bank, with no actual printing press, or a functioning bond market, has now electronically printed up new currency units for their banks without issuing debt behind these actions. While this has happened before in history, it has not happened in the Euro currency project officially before today. This act is going to move the monetary policy of the union, to the individual capitals. The capacity to print electronic credits, with out the creation of cash currency or debt, is a new wrinkle in the economic landscape. A monetary union with multiple independent centres of money creation will end up looking like the Rouble zone that survived the collapse of the Soviet Union at the end of 1991 for a bit, until it collapsed in a series of chaotic hyperinflations. The Central Bank of Russia claimed a monopoly on the issue of paper currency, but each of the 15 central banks of the ruble area could inflate the money supply through creation of bank credits. Each government was able to gain the full seigniorage benefit of financing its deficit through its own central bank, while spreading the resulting inflation among the whole group of 15. (...) This gave rise to a free rider problem: Each country could use central bank credit to finance its budget deficit The resulting inflation was transmitted among all 15 member countries Each country had an incentive to act as a free rider, enjoying the benefits of credit expansion while shifting the inflationary costs to its neighbors. It is hard for countries with weak economies to leave a stable currency area because doing so can trigger defaults and bank runs. These exit barriers do not apply to countries with strong economies that want to leave a weak, inflation-ridden currency area. Similar inflation concerns are now forcing the ECB to choose: increase interest rates to promote a hard currency, satisfying Germany; or keep rates low to help out struggling economies on the eurozone's periphery. Perhaps the first chapter of the eurozone crisis is over. Another one is about to begin. The EU Bill's referendum lock is today coming before Parliament, with its different parts debated and voted on between today and Wednesday (see here, here, here, here, here, here and here). At the eleventh hour, Labour leader Ed Miliband has tabled an amendment that would effectively remove the opportunity for a judicial review of any decision taken by Ministers and Parliament, amid concerns that the power of Parliament might in future be weakened at the hands of judges. We can certainly see the appeal of this amendment from MPs' point of view, as it appears to strengthen Parliament. However, the bigger risk is that it - for all practical purposes - simultaneously waters down the referendum lock. MPs should therefore think twice before supporting this amendment. 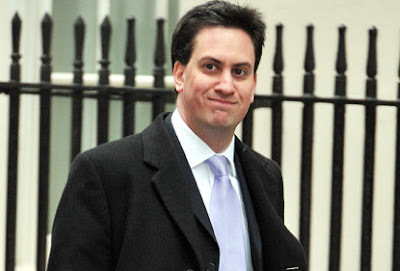 - Ed Miliband’s amendments to the EU Bill centre on the creation of an “EU referendum committee”. - This Committee of 19 members would be comprised of MPs and Lords (but not Ministers) who would make recommendations on whether to hold all referenda provided for in all the various sections of the Bill. - The recommendations would be put to both Houses of Parliament for approval of the Committee’s decision on whether to hold a referendum or not. - While the creation of an ‘independent panel of Parliamentarians’ to decide on referenda may sound appealing, the Committee’s recommendations would override the Bill’s clauses which would automatically provide for referenda on decisions identified in the Bill, which are the key safeguards against power being handed over from Westminster to Brussels. Only “significant transfers” as decided by the committee and voted on in Parliament would qualify. - Therefore Labour’s amendments could well have the effect of raising the threshold for holding referenda on transferring powers to the EU. - Should the government of the day hold the balance of power in the proposed “EU Referendum Committee”, there would be nothing stopping a new EU treaty or treaty change being pushed through Parliament by the government. This could see a repeat of what happened to the Lisbon Treaty, which, as we all remember, was pushed through Parliament, without a public vote, despite the three major parties pledging a referendum on the treaty. Lofty plans for aligning France's and Germany's economic policies are nothing new. 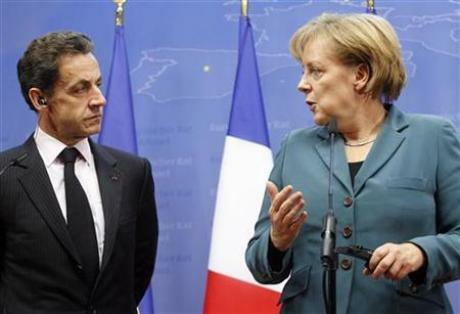 French President Nicolas Sarkozy is particularly excited about the idea. But what do people in both countries think of the prospect of becoming more like eachother? Today's Le Monde features a new survey carried out by French Institute IFOP on behalf of a German and a French think-tank. It gives an answer that Sarko - and a big chunk of the EU elite - probably don't want to hear. According to the poll, only 18% of Germans think that their country should consider France its "privileged partner". On their part, only 31% of French think Germany should be considered the same. And there's more. Only 44% of Germans agree that their country should coordinate more of its economic policies with other eurozone countries, compared to 65% of the French. Unsurprisingly, French and Germans aren't exactly on the same wavelength when it comes to the role of the ECB. 69% of Germans say that the ECB should focus its efforts on "combating inflation and price increases", while 51% of French think that it should act to "spur economic growth". That discrepancy goes to the very heart of the eurozone's problems (one-size-doesn't-fit-all). The European project has been around for over fifty years and it was built on the back of a situation where people were at war […] The European project is something we all believe in because we want peace to be maintained. Eh, was that really the question? Instead of reverting back to their default Kum-bay-ya mode when faced with economic and democratic reality, Lagarde and the others would do well in pondering these poll results. After all, reality will catch up with them sooner or later. It must be said, people are cynical creatures. The eurostar is a pinnacle of European achievement and is almost always running! About this time last year, we wrote, "to bail out or not to bail out that is the question", as Greece hovered over the abyss. A year later, and with Greece now on the dole, "Bail out" has been replaced by "restructuring" but Greece is still close to the abyss. The European media has been awash with rumours about plans for a Greek debt restructuring. This is no surprise at all, given that in a best-case scenario Greek public debt will "only" reach 150 percent of GDP in 2013, so something must be done. According to other reports, a German government plan would see Greece buying back its own bonds using money from the EU's temporary bailout fund at preferential interest rates. The German government and all the usual suspects (led by the Commission) have denied the claim, so it's probably true. Greece borrows money on the markets by issuing bonds. When faced with reality - which is that it cannot find money for new loans to pay back the old loans because it doesn't have any real source of income (i.e. no tax base or competitive growth) - friendly neighbours lend money to Greece at better rates so it can pay back its creditors (mainly major financial institutions - these might face a haircut in future but not until 2013). Then, Greece would still be in debt but to European taxpayers, not financial institutions - taking moral hazard to a whole new level. For any household, financing old debt with new debt, without the income to back it up, would be unacceptable. That's how the sub-prime crisis came about. In the eurozone, this is now apparently called a "solution". Earlier today, the Government released a statement setting out what it intends to do on the Justice and Home Affairs 'opt-ins' and the crucial 2014 choice between more or less EU control (see here, here, here and here for more from us on this). in circumstances where there is particularly strong Parliamentary interest in the Government’s decision on whether or not to opt in to such a measure, the Government expresses its willingness to set aside Government time for a debate in both Houses on the basis of a motion on the Government’s recommended approach on the opt-in. From the looks of it, this is not a strong enough safeguard. The big question is who decides what counts as "particularly strong" interest. 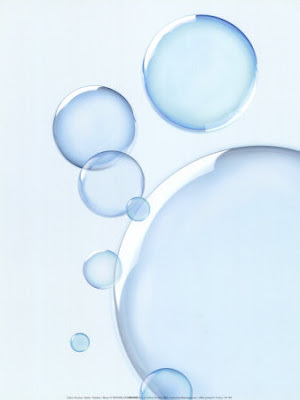 We remain convinced that in order to avoid situations where future EU proposals in Justice and Home Affairs are debated at the convenience of the Government (which is the case at the moment), all opt ins should be subject to Parliamentary approval (there are pragmatic ways to deal with minor proposals, without throwing the baby out with the bathwater). Parliament should have the right to give its view on a decision of such importance. The Government therefore commits to a vote in both Houses of Parliament before it makes a formal decision on whether it wishes to opt-out. The Government will conduct further consultations on the arrangements for this vote, in particular with the European Scrutiny Committees, and the Commons and Lords Home Affairs and Justice Select Committees and a further announcement will be made in due course. In other words, there's much to play for here. Are MPs paying attention? On Conservative Home, Open Europe chairman Lord Leach argues in favour of tweaking the EU Bill to strengthen democratic controls over the key areas of EU law that we've highlighted. We also have a piece on the Spectator Coffee House blog. Just one quick additional thought: the "more or less EU" choice that the Coalition will face in 2014 potentially involves some 100 or more EU laws and measures. The Government must decide to either accept or reject these en bloc. 100 laws! Imagine if the government had to decide in one go whether to adopt 100 domestic laws, regulations and measures. And if we then were told that this was not going to be debated in Parliament...? You can see why this choice matters and the EU Bill needs to be amended to allow for this to go through Parliament. When will this register in Westminster? "When there is discussion about extending the 750 billion euro bailout fund for eurozone member states with excessive debt, then such an important question should be put to the people." According to Reuters, Mr Feld has an EU-wide referendum in mind. "I don't believe Greece will manage without restructering its debt. And then German guarantees will be needed (...) I hardly know of anyone who thinks that Greece can make it on its own." (The German government today denied reports that it was planning for a Greek debt restructering, meaning that it's probably working on something). FTD describes Feld as a "hardliner". He has been appointed by Germany's liberal Economy Minister Rainer Brüderle as one of five members of the German Council of Economic Experts. The opinions of the experts aren't automatic government policy, but hugely influential. Which MPs will stand up and be counted on the EU referendum lock? The Government's EU Bill returns to Parliament next week, with MPs considering amendments to the 'referendum lock'. At the moment there is no democratic control over which EU crime, justice and immigration laws apply to the UK – neither MPs nor the electorate have a say over these decisions, only the Government. With a new briefing published today, we have stepped up our campaign to see the Bill amended to give Parliament, and in some cases voters, a say over whether Ministers sign up to these laws. The crux of the matter is that next week MPs have the chance to give themselves increased power over the Government, allowing them to debate and approve these hugely important EU laws that will have an impact on their voters. And there is another hugely significant issue here. Before 2014, the Government has to decide whether existing EU crime and policing laws (those introduced before the Lisbon Treaty came into force late 2009) continue to apply to the UK. If they continue to apply they fall under the full jurisdiction of EU judges at the ECJ. This is a massive 'more or less EU' decision that should not be left entirely up to the Government, which it would be under the current Bill. This should be decided by the people or, failing that, Parliament. 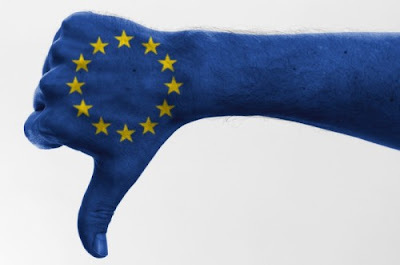 Do MPs really want to explain to their constituents that they passed up on the opportunity to have a vote on EU crime or police laws such as the European Arrest Warrant agreed in 2002, which has seen numerous Britons extradited to other European countries on spurious charges? These are laws that have a direct, and sometimes costly, impact on people's lives - this is no time for MPs to duck the question. Back in October we estimated, based on leaked reports from a couple of European governments, that the EU's mismanaged Galileo project - aimed at creating a global satellite navigation system – was way over budget (and possibly ten years behind schedule). We said that the EU Commission was under-estimating the deployment cost of the project and would in fact need an extra €1.5 billion to €1.7 billion, on top of the existing €3.4 billion, to keep the party going. 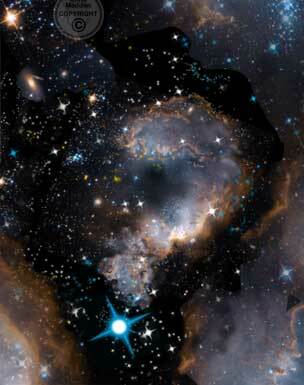 In addition, we noted that the annual operational cost of Galileo could be in the area of €750 million. Tajani described the estimates as "exorbitant" and "unimaginable", and insisted that the deployment budget (which is only part of the cost) remained at €3.4 billion. Well, we're forced to admit, it turns out that our estimates weren't quite correct. In fact, as Mr. Tajani and the Commission finally admitted today, the Galileo project needs not another €1.5-1.7 billion as we claimed, but an extra €1.9 billion of taxpayers’ cash to cover the booming deployment cost. At the same time, the Commission now puts the annual operation cost at €800 million (not €750 million as we foolishly thought). We do apologise to the Commission for having misrepresented the cost of the project. But what's going on here? Either Tajani lied to taxpayers back in October or he displayed extraordinary incompetence. We're not sure what's worse. Just to reiterate how badly managed this project has been from the very start. According to our under-estimates from October, the total cost of Galileo from start to completion, and then running it over a 20 year period, is a staggering €22.2 billion – a cost which will be borne entirely by taxpayers and which now has to be revised upwards yet again. Under the original estimates (from 2000) this cost would have been €7.7 billion, of which only €2.6 billion was to be borne by taxpayers and the rest by private investors (the private investors pulled out in 2007, citing lack of commercial prospects). 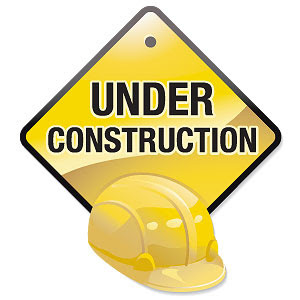 The project has been beset with delays and cost over-runs at every single stage of its history. I think Galileo is a stupid idea that primarily serves French interests. Mr Smutny also told US officials that in "his opinion the final cost [for the deployment cost] will balloon to around" €10 billion before all is said and done. Tajani is now asking European governments to cough up yet more cash to cover the shortfall. Sensibly, the UK Government is saying No - and will probably be joined by several other Governments. And they are right. Not a single penny more should be given to the Galileo project until we see a final, robust analysis of what the project will finally cost relative to the benefits it will generate. Of course, Tajani is keen to point out that the satellite is expected to bring €90 billion to the European economy over 20 years. This has been revised down radically from the Commission's ridiculous original estimate of €275 billion per year in revenues worldwide by 2020 (in addition to the equally delusional 3 billion users and the creation of 150,000 new jobs). Forgive us for not quite trusting Tajani on this one. The UK will soon have a new man in Brussels - Jon Cunliffe who will take over from Kim Darroch - to represent the country in the endless behind-the-scenes negotiations that form the backbone of EU decision-making. ...it is encouraging that David Cameron is about to make the tough- as-teak Jon Cunliffe Britain’s new ambassador to the EU. Intriguingly, Cameron is appointing someone who has never worked in the Foreign Office. Cunliffe is not your typical Sir Humphrey. He didn’t go to Oxbridge and took his economics degree at night-school. Even more unusually, he enjoys saying No to foreigners. Predictably, the spin behind Cunliffe’s appointment is that he is “tough as teak”, a man who likes saying “no” to foreigners. Those who brief the press attach great importance to the fact he’s not from the overtly federalist Foreign Office. Yet the idea Cunliffe’s appointment means a change of approach is balls. If anything, it confirms that it’ll be EU business as usual. It was Cunliffe who negotiated the Stabilisation Mechanism deal leading to the ECOFIN meeting in May, whereby Britain accepted enormous liabilities to try to prop up the Euro. He thereby managed to make us part of the Euro debt union, if not the currency union. Is China betting on or against Europe? The role of the Far East in the Eurozone's ongoing debt saga is becoming increasingly fascinating. China has reportedly bought €1.1 billion of Portuguese debt in a direct sale. And Japan - not wanting to be outdone - has announced that it'll buy €900 million worth of bonds to be issued by the EFSF (the Eurozone bailout fund) at the end of this month. there are claims of Japan and China and so on, but they're really looking for the private institutions like PIMCO and other insurance companies to buy, and we just have not done that yet. French daily Les Echos has a slightly different take, arguing that "Asia has decided it will save Europe." But a different analysis altogether comes from leading finance blog Zero Hedge. They write that China's banks are currently switching their euros (which amount to 25% of China's currency reserves) for dollars, meaning that China is actually ditching the Single Currency. The Chinese know that their €1.1 billion "investment" in the eurozone is effectively underwritten by the ECB, which continues to buy Portugese junk bonds. Here's the math: assuming roughly €510 billion in EUR-denominated holdings, just the last 5 day jump in the EURUSD from 1.29 to 1.31 means that the USD value in a static pool of €-holdings has increased by about $11 billion (on paper). But here's the kicker: it is not on paper, and if the rumors are true, China is actively converting EUR holdings to USD. It appears that the mid-1.31 range is one appropriate exit point. So from an IRR standpoint, China invests €1.1 billion in Euro peripheral bonds knowing full well that the biggest backstopper is the ECB, in essence letting the country frontrun Europe's taxpayers. And in return it gets a marginal improvement in its FX holdings to the tune of $10 billion. In other words, every 100 pips improvement in the EURUSD results in a ~$5 billion boost to the USD valuation of EUR-denominated holdings. And if the latest €1 billion investment allowing the country to "buy" $10 billion in FX gains is any indication, China sure knows what it is doing. Furthermore, with it allegedly actively selling EURs as a result, it appears that the country is in effect betting against Europe, and is continuing to reduce its 25% EUR allocation, with the USD as a beneficiary. Speculative, that's true - but does anyone else have the feeling that Europe isn't quite in the ballgame? How many eurocrats does it take to open a visitors centre? Opening a visitors centre should be a fairly simple matter one would think. But not so. The European Parliament's planned centre is already three years behind schedule and spiralling costs look set to go 35% over the original budget (some estimates even claim twice the orginal cost). European Voice quotes Parliament officials admitting they have little expertise in projects of this scope. “It would have been better” to have hired external specialists to set up the centre, says Francesca Ratti, former director-general for communication in the Parliament's secretariat. The Parliament simply lacked the capacity to manage this hugely complex project, she said. Yesterday, we invited German Professor Markus Kerber to Brussels. He is the initiator of a lawsuit at the German Constitutional Court against the bailouts of Greece and Ireland. A full write up of the event can be found here. The Professor expressed some profound criticism of the European Central Bank's policy to buy up government bonds on the secundary market - bluntly calling it "illegal" along with the bail-out package itself. He predicted that “the euro will fail, it’s better to face that”. It is true that we shouldn't underestimate the will of EU leaders to save the euro. But equally, it would be a huge mistake to underestimate the political pressure in countries such as Germany to stick to the rules and the original deal which the German people agreed to, i.e. a hard currency and no bail-outs (via the ECB or the governments) for countries that live beyond their means. And Professor Kerber is not a lonely voice crying in the desert. In the lawsuit, he is representing a group of 50 notable people, ranging from artists to the grandson of former German Chancellor Adenauer (one of the father figures for European integration). This initiative is coming straight from the German heartland. Politicians in Europe better take notice. The Portuguese government is breathing a sigh of relief after today's bond auction, in which Portugal managed to sell €1.25 billion of its debt. Crucially, €599 million of ten-year bonds were sold at an average interest rate of 6.71%, slightly below the 7% threshold which many analysts consider unsustainable (but still high). However, as we noted before, the risk that Portugal will be forced - sooner or later - to tap the €750 billion eurozone rescue fund remains huge. The country has to raise around €20 billion on the markets this year to refinance its liabilities. The yield on its ten-year bonds reached 7% a few days ago, despite the ECB stepping up its purchase of Portuguese debt, and the question is what is to stop it from rising again. So the worry is that today's auction is an exception. It's probably not a coincidence that reports of eurozone finance ministers considering a top-up to the the eurozone rescue fund emerged the day before Portugal's bond auction (assuring investors of the EU's fire power). EU Economic Affairs Commissioner Olli Rehn even wrote an op-ed on the topic in today's FT. In addition, the Japanese government - in what can be seen, primarily, as a political response to China - has announced that it will buy 20% of the bonds to be issued by the European Financial Stability Facility at the end of this month, perhaps another calming factor. Tomorrow is set to be a big day for Portugal, as it hopes to find buyers for between €750m to €1.25bn of bonds - not a small feat. As the markets turn up the heat, investors think it's increasingly unlikely that Portugal will make the grade. Ahead of the auction, writing an editorial in the Portuguese daily Jornal de Negócios, columnist and economist Helena Garrido laments the future of her country and the strategy taken by eurozone leaders. “External financial aid is not the solution for Portugal, or for the euro. The Greek and Irish experiences showed that [EU] interventions create new and more serious, problems threatening the very life of the Single Currency"
But things are certainly not looking rosy in Lisbon, and the possibility of a bail-out looks ever closer. This afternoon the central bank released figures predicting that Portugal's economy will contract in 2011, fuelling demands from other EU economies that Portugal make further austerity cuts. How should MPs vote on the EU bill today? MPs will today vote on the first part of the EU Bill - the so-called sovereignty clause, which stipulates that EU law exists only by virtue of an Act of Parliament. Some Tory MPs have opposed this clause on grounds that the explanatory notes of the Bill states that it reinforces the “common law principle” that EU law takes effect through the will of Parliament – which implies that judges could at some point take it away (since common law is effectively decided by judges). As we've noted in previous posts, the clause itself, however, clarifies - and arguably strengthens - the notion that Parliament holds sovereignty over EU law. If allowed to stand alone, this can be no bad thing. So much of the fuss is in fact about the explanatory note, which can easily be changed (MPs may of course feel that the Government should do a lot more to address the current balance of power between the EU and UK - and they would be right - but let's take one battle at a time). We now hear that Europe Minister David Lidington, sensibly, has written to backbench MPs saying that the Government will change the wording of the explanatory note to remove the confusing reference to 'common law'. There's therefore little reason to be nervous about the sovereignty clause. With this change out of the way, MPs should now focus all their efforts on making the referendum lock - the second part of the Bill (to be discussed tonight, if there's time, and in more depth in a week or two) as strong as possible. As we've argued before, a strong referendum lock could substantially strengthen day-to-day control Parliamentary over EU laws. Read more from us here and here. 7) Over a panic-stricken weekend (apparently following no prior discussion whatsoever) EU leaders decide to bail out Country X ("If the euro falls, Europe falls", "We will defend the euro at all costs" etc). We know the script by now. Any wild guesses as to who the next Country X is? Is Cameron facing defeat over the EU Bill tomorrow? Some have flagged up that prospect though we suspect the Bill will see it through tomorrow's debate in the Commons unscathed (backbench Tory MPs have differing priorities, Labour MPs are a bit all over the place and Lib Dems are not flip-flopping for a change - you work out the odds). The so-called ‘sovereignty clause’ within the Government’s EU Bill is currently the subject of some criticism and debate, and this is the part that will come up for discussion in Parliament tomorrow (the rest of the Bill will be left for the following week or later). Some important questions have been raised about the sovereignty clause but, arguably, they relate more to domestic concerns about the constitutional role of Parliament than the UK's relationship with the EU (though a link clearly exists). Irrespective of the merits of arguments on either side, the sovereignty clause should not be confused with the 'referendum lock' (which the vast majority of the Bill is concerned with) that seeks to identify areas where EU power can be extended and introduce some national controls on them. These are two discussions that should have always remained separate. The Government, and William Hague specifically, argues that Clause 18 of the Bill “confirms and affirms the position that EU law in this country is only recognised by virtue of the authority of acts of Parliament.” The Government says that it is attempting to “address concerns that the doctrine of Parliamentary sovereignty may in the future be eroded by decision of the courts”. The argument goes like this: by legally rooting Parliamentary sovereignty in common law, the Government would in fact be inviting judges to become more involved, leading to the logical extension that, if Parliament is sovereign because of a decision of the courts, the courts can just as easily change their minds. As Jenkin notes, Parliament is sovereign because Parliament is sovereign. This is the principle of the UK’s constitutional settlement. A valid question is also whether Clause 18 was necessary at all? Did anyone really dispute whether Parliament could choose to repeal the 1972 European Communities Act at any point in time should it want to? (the Commons EU Scrutiny Committee's report and evidence on the topic is pretty interesting if anyone should have the appetite to trawl through it). It is no accident that it is the EU that has sparked this debate. The lack of a formal written constitution leaves the UK hugely exposed to the EU’s centralising instincts. But confusing this discussion with the other, in our view, more important aspect of the Bill, the referendum lock (we wouldn't rule out that the Government may have done this intentionally) runs the risk that MPs do not focus enough of their energies on closing the loopholes in the Bill that deal with transfers of power to the EU. We have identified several relating to justice and home affairs but there are also other areas where the Bill needs tightening up, and Tory MPs have done a good job in tabling sensible amendments. These amendments would strengthen Parliament's de facto powers the second the Bill came into force. That would be a step forward for parliamentary democracy, and a very practical one at that. Constitutional debates about the role of Parliament are of course important but they will also no doubt roll on. However, this may be the only chance to get the practical measures within the Bill right and in our view they should therefore be the primary focus for MPs. - Rolf Krause, the Brussels bureau chief of German State TV ARD, commenting on the euro, adding that it would be a good idea to slim down the eurozone. The goal of a stronger banking system is so important that we must not allow unnecessary distractions in other areas to get in the way of agreement...Nor should we allow badly thought through regulation needlessly to undermine European competitiveness in financial services. Talk of competition between London, Paris and Frankfurt misses the point. It is the relative competitiveness of Europe, with London as its major financial hub, against other centres in Asia and America that is the real issue. No one should doubt that Britain is determined to remain a global financial centre serving Europe and the world. the City of London has lost support from the British Government. Banks must fear overregulation from Brussels, particularly political decisions and a lack of skilled regulators in the EU’s new financial supervisors. That more than 1000 hedge fund managers have left the UK for Switzerland, is bearable, but that big institutions such as HSBC, Standard Chartered and Barclays are threatening to leave the City if future regulations harm them, is a big hit. The new year sees the launch of the EU’s new financial supervisors: the European Banking Authority, the European Insurance and Occupational Pensions Authority and the European Securities and Markets Authority. If you haven't already done so, have a look at our take on the new EU supervisors here. Green MEP Sven Giegold (Germany), who took the lead on the issue in the European Parliament, seems to be their most ardent supporter. He told German TV channel ARD that the huge structural problems in Ireland's banking sector "could have been prevented by the new European banking supervisors, thanks to their new legal possibilities". Hmmm, a bit of a simplistic explanation, no? Giegold doesn't have to look very far to spot the reason why his reasoning is painfully incomplete. In fact, casting his eyes to Frankfurt and the ECB would do the trick. As often repeated nowadays, low eurozone interest rates, essentially designed for a sluggish Germany, led to an abundance of cheap credit in Ireland, in turn fuelling a property bubble that burst with the financial crisis in 2008, while the Irish government turned a blind eye. The Irish banks became insolvent, and private debt became public debt through bank bail-outs. 1. It's heroic to assume that the EU's financial supervisors - somehow by virtue of being ran at the EU level as opposed to the national level - would spot the credit dangers looming, and act accordingly. It's also not clear why EU supervisors would be less vulnerable to commercial or political "hijack" than their national counterparts. 2. Regulators often find it difficult to spot bubbles, not matter where they sit (in the Spectator, Johan Norberg does a good job of breaking down the flawed assumptions underpinning the thuinking ahead of the 2008 crash). Ireland, for example, had been experiencing sound growth since the beginning of the nineties, thanks to some brave economic reforms. Booming house prices could be seen as 'normal' in such economic circumstances. It's not at all clear that the new EU supervisors would possess the kind of competence needed to really dig into the markets, or know where to look (American regulators quite clearly didn't pre-Lehman). Having said that, however, in a best case scenario, the European Banking Authority, alongside the European Systemic Risk Board, could in theory serve as important facilitators of information sharing to help regulators/supervisors keep up with new developments, such as the rise of the shadow banking system, and control leverage accordingly. The EBA could also coordinate cases where cross-border banks expose taxpayers and savers in different countries to risks, ideally leading to wind downs of insolvent banks at the minimum cost, rather than more taxpayer-backed bail-outs (solving nothing). 3. But, and here's the thing, even if the EU supervisors were to spot, say, a housing bubble and stop it (through taxes at the national level and regulating the housing market, for example), the problem of excessive cheap credit, fuelled by low interest rates, would not be addressed. There are other things to spend your cash on apart from houses. If money is cheap, risk-taking is easy. And the more risks the greater the scope for bubbles. The only effective way to stamp out excessive cheap credit in a boom is to make money more expensive, through higher interest rates. But here the familiar dilemma appears yet again: in a currency union it's impossible to tailor the interest rates like this, meaning that the EU supervisors can scream "bubble" all they want. If you were wondering what the EU actually did for you in 2010, have a look at this taxpayer-funded video released by the Commission just in time for Christmas. "What has the EU done for you in 2010?" “Securing a sound economy and stronger financial markets"
Can this really be serious? Of all the years to spin this line they chose 2010 - the year when the flawed construct if the Single Currency nearly brought the entire European economy to its knees, forcing multi-billion euro bail-outs. Or maybe they just got this mixed up with the EU's wish list for Santa. While they are at it, why don’t they just say world peace?